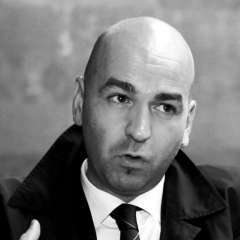 Dr Calzada MBA is an inter-disciplinary academic entrepeneur in social sciences working as Lecturer, Senior Research Fellow and Policy Adviser at the University of Oxford (UK), Urban Transformations ESRC. He holds positions as Lecturer in the MSc in Global Sustainable Cities at the Institute for Future Cities at the University of Strathclyde in Glasgow. Similarly, he has been recently appointed Visiting Research Fellow 2016 at the Vrije Universiteit Brussel, BCUS Brussels Centre for Urban Studies. Since 2002, he has been lecturer and research fellow at the Aston University in Birmingham (UK), Nevada (USA), Helsinki (Finland) and Mondragon (Spain). His main research interest concerns comparing social, economic, technologic, democratic and politically innovative processes in cities and regions by paying special attention to cases and issues of regional and metropolitan devolution. He focuses on investigating City-Region and Smart City benchmarking case studies internationally through the application of qualitative and action research methods. In collaboration with Ceibal Foundation, he aims to explore the current interaction of education and technology in cities by putting into practice a new applied research approach based on comparative Urban Living Labs experiments between Montevideo (Uruguay) and St. Sebastián (Spain).